Banca Transilvania and PTP Online have launched a mobile phone payment facility through the 24pay application for tickets and online subscriptions for bus, trolleybus, tram and microbus, operated by the Cluj-Napoca Public Transport Company. 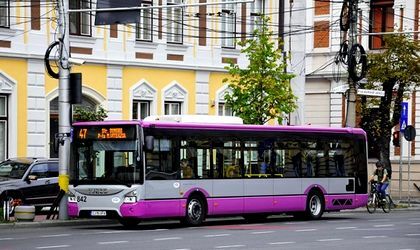 BT and PTP Online – the company that developed the 24pay application and a member of the Ecco Group Development group – have decided to contribute jointly to the development of online public transport services, an area that is less covered in Romania. The facility has been launched so far in six other cities in Romania – Arad, Braşov, Iasi, Ramnicu Valcea, Timiaoara and Sibiu – plus Cluj-Napoca. The 24pay application can be downloaded for free from Google Play or the App Store, and then a Visa or Mastercard card is required. By typing the 4-digit code on the vehicles’ 24pay posters. This payment option is a premiere to the other 6 cities where the 24pay application has been launched so far. “With this launch, Banca Transilvania, as a part of the Cluj community, contributes to transforming Cluj into a Smart City. For BT, investments, partnerships and digital transformation projects are a priority, providing comfort and mobility to customers and communities,” says Marius Flore, Integrated Digital Services Director, Banca Transilvania. “We are pleased to have expanded our digital public pay phone services in Cluj-Napoca, being an important city within the PTP Online strategy for national expansion. The 24pay system is freely available to transport operators, without incurring costs for developing and deploying the application. 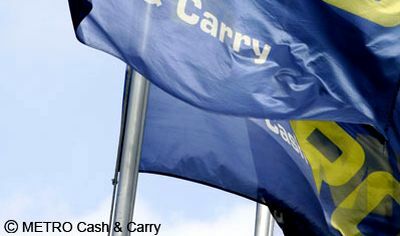 Practically, with a single application, anyone who lives or travels in these seven cities across the country can pay simple and fast, without any extra cost, public transport via the phone through the 24pay application in which the bank card is embedded, look for a ticket house or need cash money,” says Dan Cernea, general manager of PTP Online. Within 9 months, 24pay has reached over 70,000 users. On average, more than 2,500 transactions are made daily using the app to buy tickets online for public transport. The payments for the purchase of tickets take place through the card payment solution provided by Banca Transilvania.